The RTCU AX9 turbo adds a new chapter to the highly successful era of the RTCU AX9i series offering a wide range of new features and performance improvement - not only due to the powerful NX32 Execution Architecture,but also with the addition of on-board Ethernet and a 3G/HSDPA GSM engine. The RTCU AX9 turbo is designed according to the highest technical standards for today's professional M2M telemetry applications. The RTCU AX9 turbo uses the next generation NX32 execution model and is fully backward compatible with the X32 execution model. Existing software will therefore be able to operate without any changes or costly re-testing. Mechanically and electrically theRTCU AX9 turbo is back-ward compatible with the RTCU AX9i pro and constitutes therefore a direct plug-in replacement. For the most demanding applications the RTCU AX9 turbo operates with GSM 3G/HSDPAand also offers on-board Ethernet for the most flexible connectivity options. The RTCU AX9 turbo rests on the RTCU M2M Platform, that brings all the necessary tools together to develop, implement and maintain today’s sophisticated M2M/IoT applications. Based on the RTCU M2M Platform. o RTCU IDE development tool with a full featured device simulator. o Huge standard API with more than 800+ functions. TCP-UDP/IP, FTP, SMTP, RACP, MQTT, MODBUS, Garmin FMI. o Fully backward compatibility with existing X32 applications. High-speed 3G/HSDPA GSM engine. Backward compatible with 2G/2.5G. Medium range ISM band RF transceiver with on-board antenna. Internal antenna and external GSM antenna connector. Application selectable. Digitized audio can be played over GSM. DTMF support for implementation of Interactive Voice Response applications. Enhanced memory sub-system with fast program execution. Huge data-flash/logger memory with a capacity of 8.5 MB. Internal 8 MB FAT32 flash drive. Standard FAT32 SD-CARD reader with up to 32 GB capacity. 2 x RS232 channels and 2 x RS485 channels. 4 x analog inputs with 0..10 volt / 0..20 mA with 12 bit precision. 4 x analog outputs with 0..10 volt / 0..20 mA. 5 x digital inputs and 4 x high-power relays. Up to 4 digital inputs can be configured as IEC62053-31 Class A compliant. 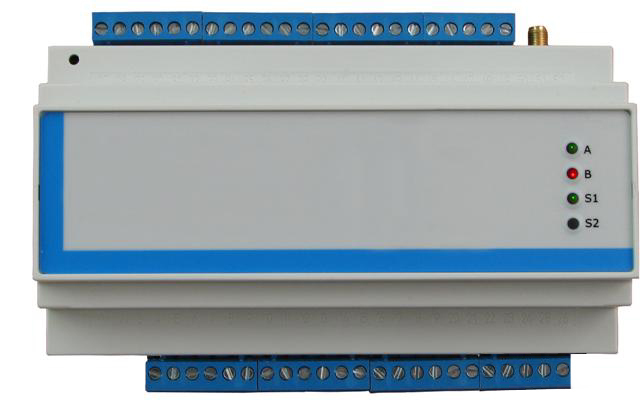 Expandable I/O with standard MODBUS modules. 1-Wire bus for accessories such as ID-button reader, temperature sensors, etc. Wide AC/DC power operating range from 100..260VAC / 8..36 VDC. External DC power can be selectable enabled/disabled by the application. 12/24 Volt DC-out capability for powering external equipment. Advanced power-management with wake-up on a wide range of events. Housed in a ruggedized plastic encapsulation with cable glands. IP65 water protected for outdoor usage. 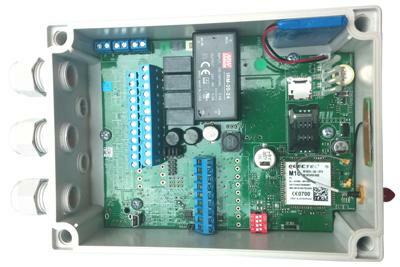 Accessories: MODBUS modules, Bluetooth and MDT-200. Fully supported by the RTCU Gateway 2 and the RTCU Deployment Server. A complete range of MODBUS I/O modules are offered by Logic IO for easy connection to the RTCU AX9 turbo product. Please see the MODBUS I/O Modules section. For further information please refer to the data sheet and the technical manual below. The RTCU AX9 encore is a cost-efficient device based on the full powered RTCU AX9 turbo offering a wide range of features and performance critical features such as full support for the NX32 Execution Architecture. 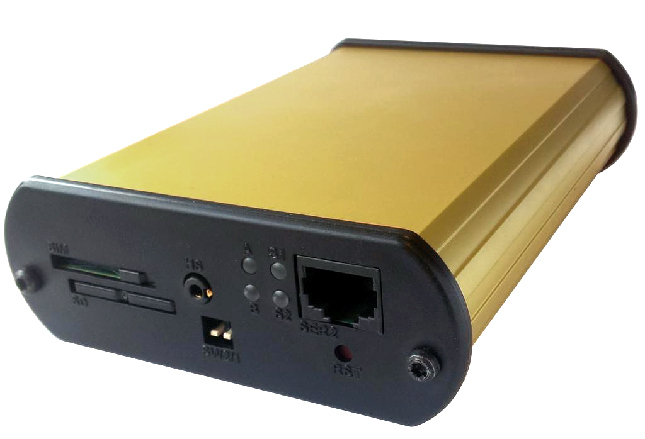 The RTCU AX9 encore is designed according to the highest technical standards for today's professional M2M telemetry applications. The RTCU AX9 encore uses the next generation NX32 execution model and is fully backward compatible with the X32 execution model. Existing software will therefore be able to operate without any changes or costly re-testing. Mechanically and electrically theRTCU AX9 encore is back-ward compatible with the RTCU AX9i eco and constitutes therefore a direct plug-in replacement. For world-wide usage in any network environment the RTCU AX9 encore offers a full quad-band GSM engine with a switchable dual antenna design supporting both an on-board as well as an external GSM antenna. The RTCU AX9 encore rests on the RTCU M2M Platform, that brings all the necessary tools together to develop, implement and maintain today’s sophisticated M2M/IoT applications. TCP-UDP/IP, FTP, SMTP, RACP, MQTT and MODBUS. Huge data-flash/logger memory with a capacity of 4.5 MB. Internal 4 MB FAT32 flash drive. RS232 channel with optional shared RS485 channel. 2 x analog inputs with 0..10 volt / 0..20 mA with 12 bit precision. 24 Volt DC-out capability for powering external equipment. IP65 protected for outdoor usage. A complete range of MODBUS I/O modules are offered by Logic IO for easy connection to the RTCU AX9 encore product. Please see the MODBUS I/O Modules section. The RTCU MX2 turbo is one of the most advanced RTCU devices available today. that includes Intellisync Project Drive synchronization. The RTCU MX2 turbo is offering a long range of new features and performance improvements while still resting on the proven track-record and confidence of the former RTCU MX2i series. The RTCU MX2 turbo uses the next generation NX32 execution model and is fully backward compatible with the X32 execution model of the former RTCU MX2i series. Existing software will therefore be able to operate without any changes or costly re-testing. Mechanically and electrically the RTCU MX2 turbo is fully back-ward compatible with the RTCU MX2 pro/pro+ and constitutes therefore a direct plug-in replacement. The RTCU MX2 turbo is designed for a broad variety of advanced telemetry / telematics applications and has been designed according to the highest technical standards for professional automotive and industrial use. The product has all necessary regulatory approvals – including 2004/104/EC / UN ECE R10 – edition 3 and CE mark. For demanding applications the RTCU MX2 turbo perates with GSM 3G/HSDPA and is also available in a version with World-wide Quad-band GSM. The positioning is enhanced with a state-of-the-art GNSS receiver with GPS, GLONASS andQZSS support. TCP-UDP/IP, FTP, SMTP, RACP, MQTT, MODBUS, FMS/J1939, NMP/Garmin FMI. 3G version: High-speed 3G/HSDPA GSM engine. Backward compatible with 2G/2.5G. 2G version: World-wide Quad-band GSM engine. Internal and external SIM-card reader selectable from the application. Digitized audio can be played over GSM or to an external device. State-of-the art Multi-GNSS positioning engine with GPS,GLONASS,QZSS. High-performance 3-axis accelerometer with 16g scale. Extended flash memory with a capacity of 7 MB (XF7). 2 x RS232 channels and 1 x RS485 channel. 2 x analog inputs with 0..10 volt / 12 bit precision. 5 x digital inputs and 4 x high-power solid-state digital outputs. MODBUS for I/O extension or SCADA integration. Full CAN 2.0B controller with hardware filtering and multi-speed support. 1-Wire bus for accessories such as ID-Button reader, Temperature sensor, etc. Wide operating range from 8..36 VDC. External power can be selectable enabled/disabled by the application. Hands-free interface with microphone and Class-D audio speaker amplifier. Fully supports the Professional Navigation and Messaging device PNM-220. Supports the Garmin Fleet Management Interface. Accessories: Wi-Fi, Ethernet, Bluetooth, 2 MP camera and MDT-200 terminal. Exclusive and durable "GOLD" aluminium encapsulation. Alternative front end-cap with protected SIM card reader. The RTCU MX2 encore is cost-efficient device based on the full powered RTCU MX2 turbo. 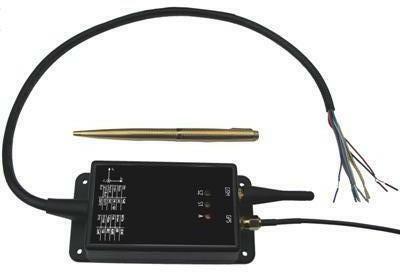 It has been designed for a broad variety of advanced telemetry / telematics applications and is made according to the highest technical standards for professional automotive and industrial use. The RTCU MX2 encore is based on the top-of-the-line RTCU MX2 turbo with certain features carefully omitted for a perfect balance between price and functionality. The device is as a logical successor to the RTCU MX2i eco+ and the RTCU MX2i pro. The RTCU MX2 encore uses the next generation NX32 execution model and is fully backward compatible with the X32 execution model of the former RTCU MX2i series. Existing software will therefore be able to operate without any changes or costly re-testing. Mechanically and electrically the RTCU MX2 encore is back-ward compatible with the RTCU MX2i eco+ and the RTCU MX2i pro and constitutes therefore in most cases a direct plug-in replacement. CAN 2.0B: CAN controller with hardware filtering. 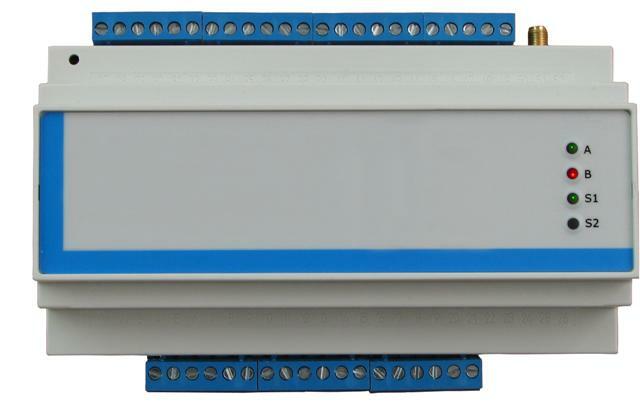 RS485: RS485 channel with MODBUS and expandable I/O. Internal SIM: Internal SIM card reader. Int/ext. selectable by application. The 'Internal SIM card reader' option is FREE and just requires activation. Options can be applied on-demand even remotely by the unit already installed in the field. The RTCU MX2 encore is designed for a broad variety of advanced telemetry / telematics applications and has been designed according to the highest technical standards for professional automotive and industrial use. The product has all necessary regulatory approvals – including 2004/104/EC / UN ECE R10 – edition 3 and CE mark. Extended flash memory with a capacity of 3 MB . 5 x digital inputs and 4 high-power solid-state digital outputs. RS485 channel with MODBUS and expandable I/O. Internal SIM-card reader. Active reader selectable from the app. FREE! On-demand options can be applied anytime - even remotely after installation. Accessories: Wi-Fi, Ethernet, Bluetooth and 2 MP camera. Exclusive and durable aluminium encapsulation. The RTCU CX1 warp series is a new members in the powerful RTCU CX1 series offering unprecedented performance and flexibility. Available in just two variants taking advantage of the powerful "hardware on-demand" the RTCU CX1 warp series has the entry-level price of the former RTCU CX1i flex with the upgradeability to the full featured power of the RTCU CX1i pro and RTCU CX1 pro-c. The RTCU CX1 warp series are compact, waterproof and ruggedized telematics tracking and control devices, based on the powerful X32-architecture. The series sports a long list of standard features and can be further upgraded when required with powerful on-demand hardware options. With RS232/FMI and 1-wire, but no CAN bus. With CAN bus, but no RS232/FMI or 1-wire. Except for the differences list above the two RTCU CX1 warp variants are identical. The RTCU CX1 warp series is designed for a broad variety of advanced telemetry / telematics applications and has been manufactured according to the highest technical standards for professional automotive and industrial use. The product has all necessary regulatory approvals – including 2004/104/EC / UN ECE R10 and CE mark. I/O: 2 x digital inputs, 2 x digital outputs and 1 x analog input (total). RF: Medium range ISM band RF transceiver with on-board antenna. COM: RS232/FMI and 1-Wire bus (warp) or CAN (warp-c). FLASH: Micro-SD card reader and 3 MB extended flash. FREE! The 'FLASH' option is FREE and just requires activation. The RTCU CX1 warp series rests on the RTCU M2M Platform, that brings all the necessary tools together to develop, implement and maintain today’s sophisticated M2M/IoT applications. TCP-UDP/IP, FTP, SMTP, RACP, MQTT, FMS/J1939, Garmin FMI. State-of-the art SuperGPS positioning engine. Large data-flash/logger memory with a capacity of 4.5 MB. 1 x digital inputs and 1 x high-power solid-state digital output (upgradeable). Support the Garmin Fleet Management Interface. Delivered with GSM/GPS antennas pre-mounted and with a 50 cm interface cable. FLASH: Micro SD card reader and 3 MB extended flash. FREE! SKU RT-CX1W RTCU CX1 warp with standard antenna set. SKU RT-CX1WC RTCU CX1 warp-c with standard antenna set. SKU RT-CX1WN RTCU CX1 warp without antennas. SKU RT-CX1WCN RTCU CX1 warp-c without antennas. SKU RT-O-ANT-CX1 Standard set with GSM and GPS antenna. 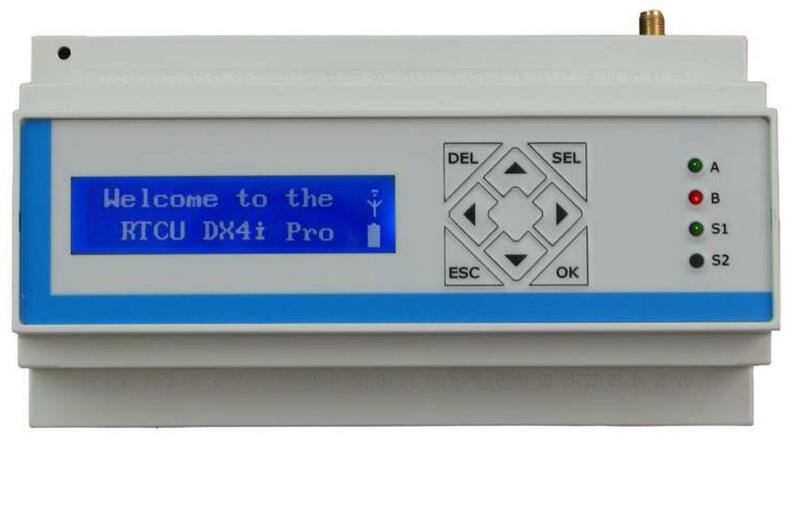 The RTCU DX4i pro is a new member in the powerful RTCU DX4 series offering a major boost in capacity and performance. The product now hosts a large 4 MB internal flash drive, 4.5 MB of datalogger/persistent memory in addition to dual RS485 channels, high-precision analog inputs and finally USB as programming port. The RTCU DX4i pro is 100% backward compatible with the former RTCU DX4 pro. The RTCU DX4i pro has been designed from the ground up for professional wireless industrial applications with its strong on-board I/O capabilities and multiple communication interfaces such as: dual RS232, dual RS485, 1-Wire, CAN and USB. Housed in a standard DIN-rail encapsulation, it is a perfect component for automation and control applications. The on-board I/O system can be expanded almost indefinitely and completely transparently by adding external MODBUS compatible I/O modules. 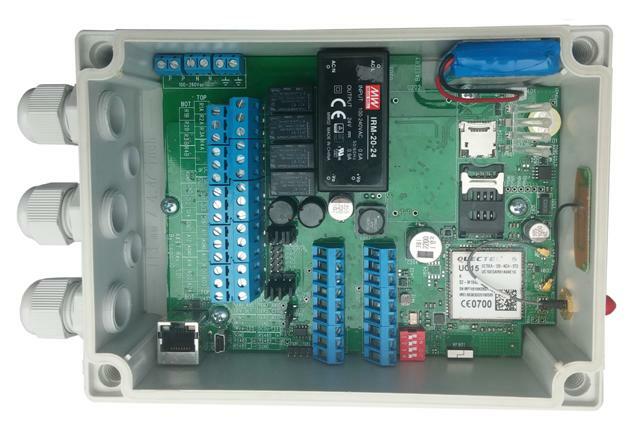 This unique I/O expansion capability, combined with the ability to operate as a MODBUS master and slave simultaneously, positions the RTCU DX4i pro as the perfect product for SCADA-like applications. The RTCU DX4i pro is based on the X32 Execution Architecture offering high performance along with a large memory capacity for both program and data - meeting the requirements of today’s most demanding and sophisticated M2M/IoT applications. The RTCU DX4i pro rests on the RTCU M2M Platform, that brings all the necessary tools together to develop, implement and maintain today’s sophisticated M2M/IoT applications. TCP-UDP/IP, FTP, SMTP, RACP, MQTT, MODBUS, FMS/J1939. Internal and external SIM-card readers. Graphical 144x32 pixels display with white-on-blue back-lit text/graphics. Keypad with 8 keys for sophisticated user interaction and control. 8 x digital inputs and 8 x high-power solid-state digital outputs. Housed in an industry standard M36 DIN compliant encapsulation. Two-part pluggable connectors for easy installation and maintenance. 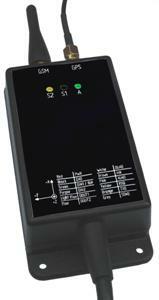 Accessories: MODBUS modules, Wi-Fi, Ethernet, Bluetooth and 2 MP camera. A complete range of MODBUS I/O modules are offered by Logic IO for easy connection to the RTCU DX4i pro product. Please see the MODBUS I/O Modules section. The RTCU DX4i warp is a new member in the powerful RTCU DX4 series offering a major boost in capacity and performance. 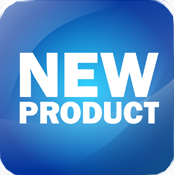 The product now hosts a large 4 MB internal flash drive, 4.5 MB of datalogger/persistent memory for the most demanding M2M applications. The product uses the powerful "hardware on-demand" concept where actual hardware features can be added whenever needed. The RTCU DX4i warp is 100% backward compatible with the former RTCU DX4 flex. The RTCU DX4i warp has been designed from the ground up for professional wireless industrial applications with its strong on-board I/O capabilities and powerful communication interfaces. Housed in a standard DIN-rail encapsulation it is a perfect component for automation and control applications. The on-board I/O system can be expanded almost indefinitely and completely transparently by adding external MODBUS compatible I/O modules. 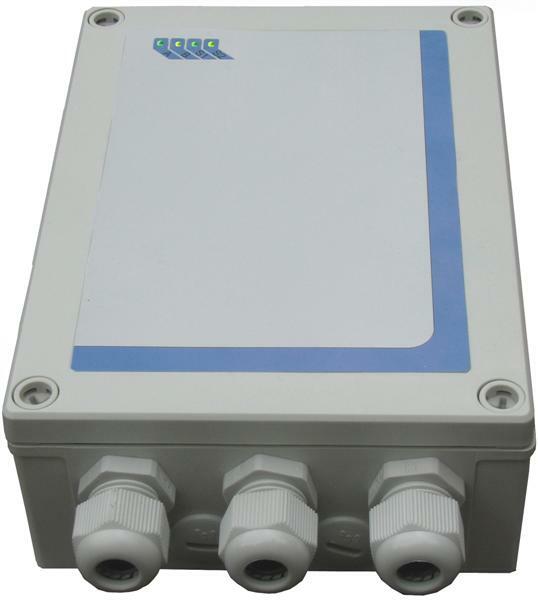 This unique I/O expansion capability, combined with the ability to operate as a MODBUS master and slave simultaneously, positions the RTCU DX4i warp as the perfect product for SCADA-like applications. The RTCU DX4i warp is based on the X32 Execution Architecture offering high performance along with a large memory capacity for both program and data - meeting the requirements of today’s most demanding and sophisticated M2M/IoT applications. DIO option: 8 x digital inputs, 8 x digital outputs (total). AIO option: 4 x analog input (total) and 4 x analog output(total). COM option: RS485/MODBUS and 1-Wire interface. FREE! The 'COM' option is FREE and just requires activation. The RTCU DX4i warp rests on the RTCU M2M Platform, that brings all the necessary tools together to develop, implement and maintain today’s sophisticated M2M/IoT applications. TCP-UDP/IP, FTP, SMTP, RACP, MQTT, MODBUS. 1 x RS232 channel / programming port. 5 x digital inputs and 3 x high-power solid-state digital outputs. 2 x analog inputs with 0..10 volt / 0..20 mA. 2 x analog outputs with 0..10 volt / 0..20 mA. Digital I/O option: 8 x digital inputs and 8 x digital outputs (total). Analog I/O option: 4 x analog inputs and 4 x analog outputs (total). Communication option: RS485/MODBUS and 1-Wire support. FREE! A complete range of MODBUS I/O modules are offered by Logic IO for easy connection to the RTCU DX4i warp. Please see the MODBUS I/O Modules section. SKU RT-DX4IWP RTCU DX4i warp with all mating plugs. The RTCU MX2i pro/pro+ is a powerful product especially suited for mobile tracking applications with its on-board ultra high sensitivity 66-channels SuperGPS-receiver and advanced power-management features. The unit is fully supported by the RTCU IDE development tool and is fully back-ward compatible with previous generation of RTCU units. 100% software compatible with all current and past RTCU units! Full MODBUS SLAVE support for SCADA integration or I/O slave module. Full MODBUS MASTER support for easy I/O extension capability. Supports GSM features such as SMS/PDU/CSD/GPRS. Full support for FTP and SMTP (email with attachment). 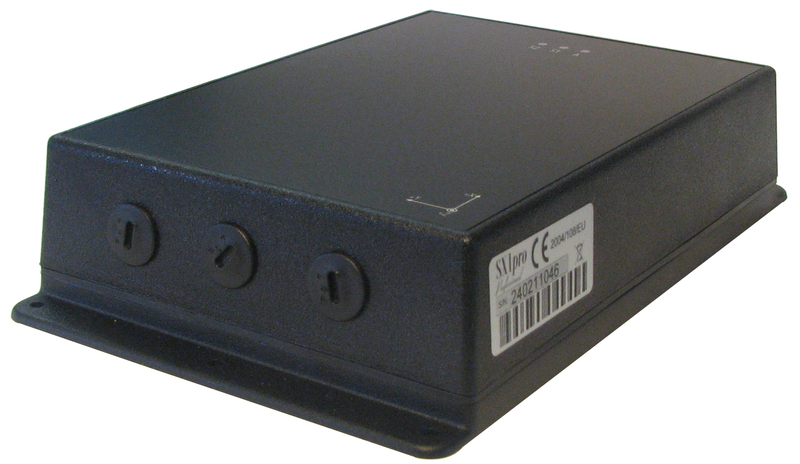 Ultra high-sensitivity low-power 66-channels SuperGPS receiver. Sleek aluminium design with black end-caps. Supports the Garmin Fleet Management / Navigation Interface. Alternative front end-cap with hidden SIM card reader. MX2i pro+ adds 8 MByte of persistent memory for data-intensive applications. 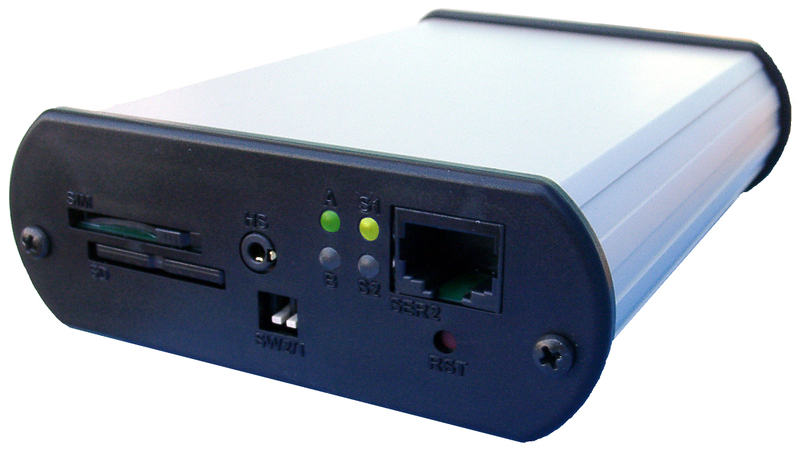 The RTCU SX1 is a stand-alone tracking, monitoring and data collection device designed for applications, which require extremely long operating time without access to external power. Based on the X32 generation of RTCU products the SX1 series introduces zero-powersaving mode reducing the power consumption in the deepest hibernation mode to virtually nothing. This state-of-the-art technology allows the unit to operate as long as 10 years with no external power! The RTCU SX1 is a compact tracking, monitoring and data collection device especially designed for stand-alone as well as extremely long operating time in harsh environments. The product is fully integrated in an IP66 ingress-protected ruggedized plastic box, that can withstand years of operation. The zero-power saving mode allows the unit to enter power saving mode - waking up on the on-board 3D accelerometer, digital input change or after a certain time period – and to stay in this mode virtually forever only limited by the battery technology in use! The RTCU SX1 series is available in versions for standard GSM (RTCU SX1 pro) and railroad based GSM-R (RTCU SX1 pro-r) for advanced and reliable asset tracking in a wide range of application segments. The RTCU SX1 series has support for medium range wireless communication using the ISM 868 MHz frequency band. This feature allows implementation of wireless sensors, RF-tracking and simple remote key fob applications. For usage in various application scenarios there is no less than four on-board battery configurations available ranging up to a massive 58 Ah non-rechargeable pack. The RTCU SX1 series has on-board antennas for GSM, GPS and ISM RF with an optional feature to use external antennas for longer range or for specialized applications, where the unit is installed in metal enclosures etc. Switching back and forth from internal to external GSM/ISM antennas can even be controlled programmatically by the application. In addition to the powerful features allowing long-term autonomous operation the RTCU SX1 series also offers the possibility to operate from external power and has digital and analog I/O as well as 1-wire and an RS232 port available for the most demanding applications. For flexible external interfacing the three PG7 blinds can be substituted with PG7 glands for IP66 protected cable entry.